I've been so busy lately! I started teaching part-time at the local university, so I've been spending a lot of time working on class-related things, in addition to the trial I had last week for my full-time job (which I WON!). Friday night was a going-away party for a colleague, yesterday was a Memorial Day BBQ at a friend's house, and today was cleaning, since I'm hosting Girls' Night at our house on Friday night. Needless to say, reading has been taking a bit of a backseat. And, honestly, I'm not much into it right now. Guess it's a slump. BTW, someday I want to actually go to Istanbul to see the Whirling Dervishes in person. They are SO beautiful! If you've never seen them, go to YouTube and type in "whirling dervish." You'll find some great video of them! Today is our one-year wedding anniversary. I cannot believe we've been married for a year. It's gone SO QUICKLY! Between moving, transferring positions at work, finding out the house we're renting is in foreclosure, my car getting flooded, and Ricky's illness, we haven't had a dull moment in our first year of marriage. I can't believe we have survived, but here we are. And, hopefully, things will only get better from here. I'm not terribly mushy, even with Ricky, so I'll just say that I'm happy with him and leave it there. FTC Disclosure: I Mooched this book. 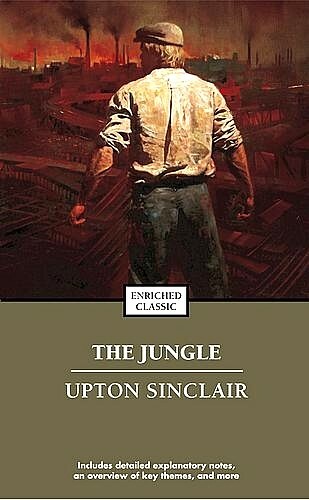 I believe I first heard of Upton Sinclair's The Jungle during Mr. Weimert's American History class in high school. I knew it held a major place in our history, but the details were fuzzy. If I remember correctly, Sinclair was known as a "muckraker," one of those investigative journalists who exposed the corruption and scandal of which the American public was (wilfully?) ignorant. Upon reading the copy on the covers of my book, I learned that in writing The Jungle Sinclair sought to unify workers. 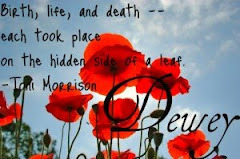 What resulted, instead, was the Pure Food and Drug Act. The Jungle is the story of Jurgis Rudkus, a Lithuanian immigrant who came to the meat-packing district of Chicago to seek his fortune. He brought with him his new bride, Ona, and a host of other family members for whom he had to care. He obtained a job at Durham's meat-packing plant as soon as he arrived, and spend a good portion of the book working for Durham's. During his time there, he observed the absolutely horrifying conditions under which the men (and women) worked, the disgusting things, both natural and unnatural, that tainted the U.S. meat supply, and the corruption and favoritism that existed in the upper ranks. The Rudkus family endure tragedy after tragedy. The book is not light, by any stretch of the imagination. Every time something happened to Jurgis or the family, I kept frantically turning the pages, waiting to see how they would get out of it. Then I was kept frantically turning the pages to see what could possibly happen to them next. Their many tribulations seemed too much to bear. At one point, I remember thinking that it was the end for the Rudkus family, but there was half of the novel left! Eventually, the family does break apart and Jurgis finds himself a criminal, a pauper, and a societal outcast...until he positions himself as a cog in the political machine. Finally, at the end of the novel, Jurgis discovers socialism and begins to work to organize the laborers and spread the wealth. This book was tremendously sad. It was especially poignant for me these days, as I've currently been struggling to readjust our lifestyle to one income, with my husband out of work. I felt as though I could really understand Jurgis' stress over being out of work, how they would pay their bills, etc. It hit very close to home for me. The book was also quite disgusting. I would not recommend it for those with a sensitive stomach. It is amazing to me how terrible the conditions were in the meat-packing plants: no air or light for the workers, filth and contamination all around, disease and vermin infesting the factories...as I said in an earlier post, it's enough to persuade one to become a vegetarian. While I enjoyed the book overall, and found it much more of a page-turner than I anticipated, I didn't like the end. The last chapter or so is basically just socialist propaganda. I'm not even that opposed to the ideals of socialism (i.e., fair labor, sharing of wealth among many), but it was a bit much. The speeches went on for pages and it made the ending rather anticlimactic for me. Overall, however, I give The Jungle three and a half out of five Whatevers. It's an important historical novel, which gives a good view of American big-city life at the turn of the last century.